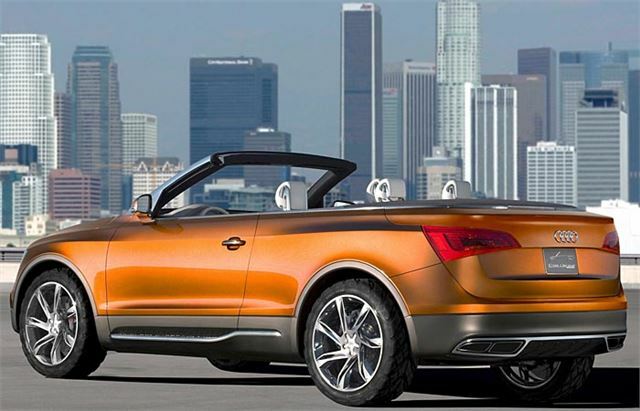 Unusual Audi All Terrain cabriolet. Audi All Terrain cabrio. 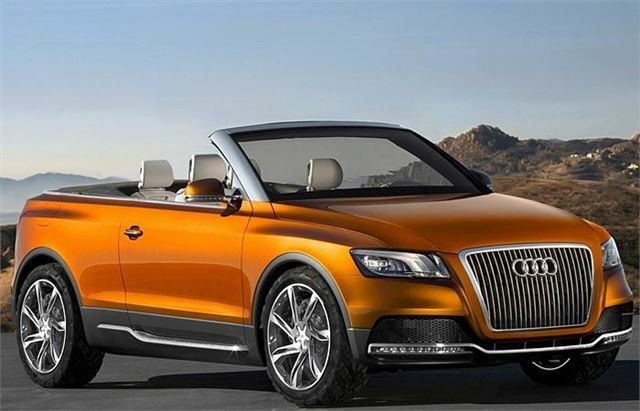 Combines four-seat cabriolet body incorporating powered full length soft top with rugged chassis featuring electric ride height adjustment and latest generation quattro four-wheel-drive with 40:60 front:rear torque split. Appropriately launched at LA motor show November 2007 because features "world’s cleanest diesel engine", a new longitudinally mounted version of 3.0-litre V6 TDI with 240PS and 500Nm which incorporates ultra low emission system that permits compliance with tough U.S emissions regulations.